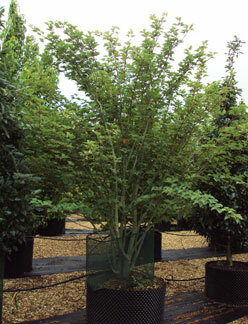 This beautiful small tree which develops a spreading crown of arching branches, is one of the best of the 'snakebark' maples. 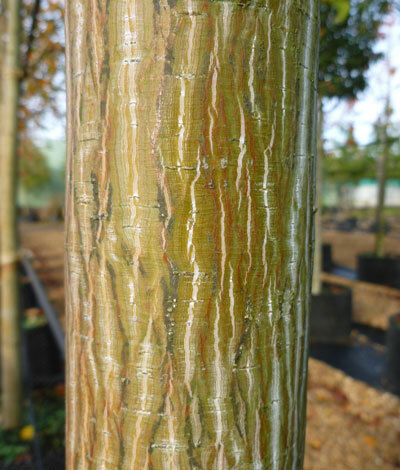 Its stunning bark which starts red on young shoots, eventually turns to green and white serpentine stripes. Delicate yellow spring flowers, winged fruits and large mid-green leaves which flush orange, pink and yellow in autumn add year round interest. 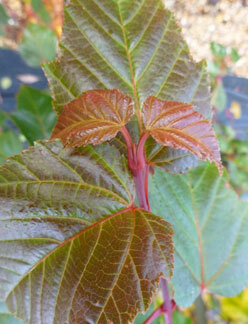 It prefers a sheltered location, but is fully hardy and will grow in almost all well drained soils. 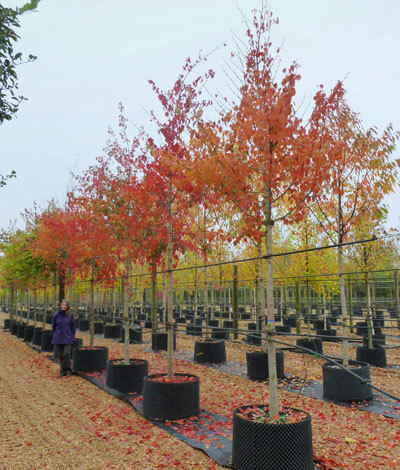 Foliage: Mid green and often lobed, renowned for its fine autumn colour. Fruit: Clusters of winged seeds follow the spring flowers. Bark: Green and white striped attractive bark. Make sure it is planted somewhere the bark can be admired! 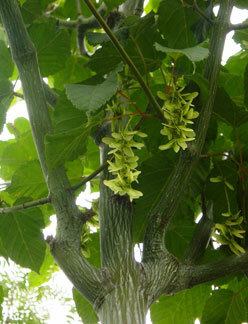 FACT:Acer davidii was originally discovered by Basque priest Armand David who was a missionary in Central China.